Get your 'best of breed' solutions, customer facing apps, and 'systems of record' fully integrated. New Zealand research shows that cloud adoption is accelerating at 23% annually with increasingly sophisticated implementations. Organisations are no longer asking whether they should be on the cloud, but rather how they deliver best results from cloud. We're a Microsoft Gold Partner for the DevOps, Application Development and Cloud Platform competencies and a Microsoft Silver Partner for the Datacenter and Cloud Productivity competencies. We're your experts in New Zealand for anything to do with Microsoft Azure, Azure DevOps and software development. Getting the results you need from cloud can be more complex than you think. We are Microsoft Silver Partners for the Cloud Platform and Cloud Productivity competencies. We have numerous Microsoft Azure certifications and one team member is a Microsoft Partner Solutions Sales Professional (P-SSP) recognising his expertise for demonstrating, designing and implementing Microsoft Azure. Azure design and workload migration – designing and building Microsoft Azure service and migrating on-premise, data centre and alternative cloud services (including earlier implementations of Azure) onto the new platform. Azure support - see our managed services offering for details. Microsoft Azure DevOps (previously Visual Studio Team Services (VSTS)) is a cloud-based software development platform that integrates with open source and cloud technologies. We are a Microsoft Gold Partner for the DevOps competency and a Microsoft Silver Partner for the Application Development competency. Combined we have numerous Microsoft certifications relating to DevOps and application development and one of the team is a Microsoft Virtual Technical Solution Professional (VTSP) for DevOps recognising his expertise in DevOps, Azure DevOps and Visual Studio. Agile and DevOps coaching – improving team work practices to get the most out of modern software development approaches and Azure DevOps - more about our DevOps services. Azure DevOps support - see our managed services offering for details. Office 365 support - see our manage services offering for details. We have some of the best and most qualified software development professionals available using the latest approaches, languages and technologies for front end, back end and full stack development. Our high-capability cross functional teams work together using Agile, Lean and DevOps processes to understand your needs and deliver the required software application at the right time, agreed price and appropriate level of quality. We have a core capability to deliver purpose-built software to run on Microsoft Azure or any other platform. We also maintain and enhance custom software, see our managed services offering for details. The world has moved from monolithic systems to many 'best of breed' solutions, customer facing apps and 'systems of record' that need to integrate. We have deep architectural and technical skills across a broad range of systems and technologies and we have specialist expertise in Microsoft Azure. We have developed numerous APIs, web services and microservices and also work with integration platforms such as Mulesoft and Zapier. We can help you architect and implement integration between your systems to provide both a rich customer experience and also ensure that you have the information you need in the right places. Brain trust access – our cloud and technical experts have direct access to both the Microsoft and Equinox IT Universal Mind to solve any problems you face. Smooth sailing – while we're straight shooters, we pride ourselves in being a good bunch of people who are honourable and easy to work with. Talk to David Reiss about flourishing with the latest cloud and technology options. 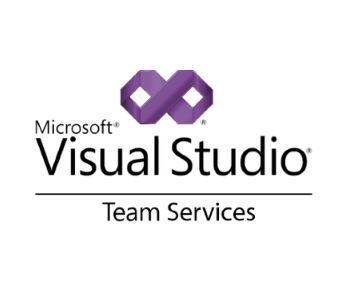 What we did: Visual Studio Team Services (VSTS) configuration and training including definition of build and test approaches and process and workflow development. Consulting advice on Agile value measurement and helping the team work in more effective ways using DevOps, build pipeline, continuous delivery and automated testing. Deliverables: VSTS and development team practices configured specifically for needs of team. What we did: Equinox IT created a re-usable deployment and accreditation pipeline in Microsoft Visual Studio Team Services (VSTS) and Azure for a central government agency to use internally, with vendors and with the sector. The pipeline improves speed and quality and provides assurance that products can be supported and maintained post-delivery. Deliverables: An accrediting deployment pipeline in VSTS and Azure, a presentation and demonstration of pipeline capability, next steps for DevOps adoption and use. What we did: Visual Studio Team Foundation Server (TFS) configuration and training including definition of build and test process, automated testing and email server. Deliverables: TFS and email server configuration and migration.